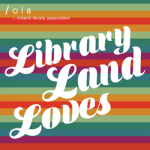 There are approximately 380 public libraries across Ontario. The majority of these libraries serve smaller, frequently rural populations, with 258 serving resident populations under 10,000 and an additional 40 libraries serving populations under 20,000. Open Shelf touched base with Erika Heesen, CEO/Chief Librarian at the Perth & District Union Public Library, and Kelly Thompson, CEO/Chief Librarian at the Renfrew Public Library to discuss life and work in a rural Eastern Ontario public library. Why? 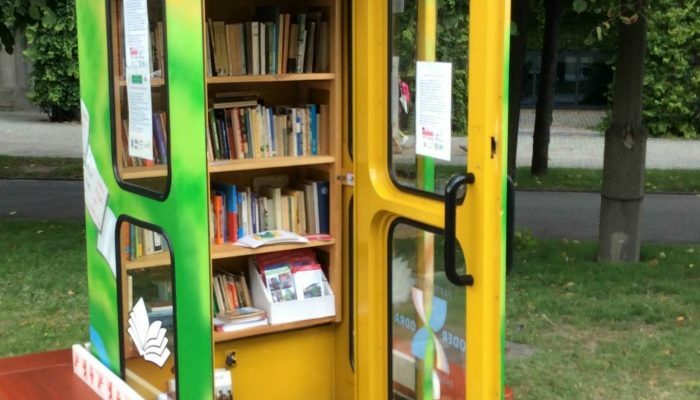 Because “small is beautiful” and the village library plays a critical role in community development and growth. What defines life in a smaller or rural library? Wearing many hats! 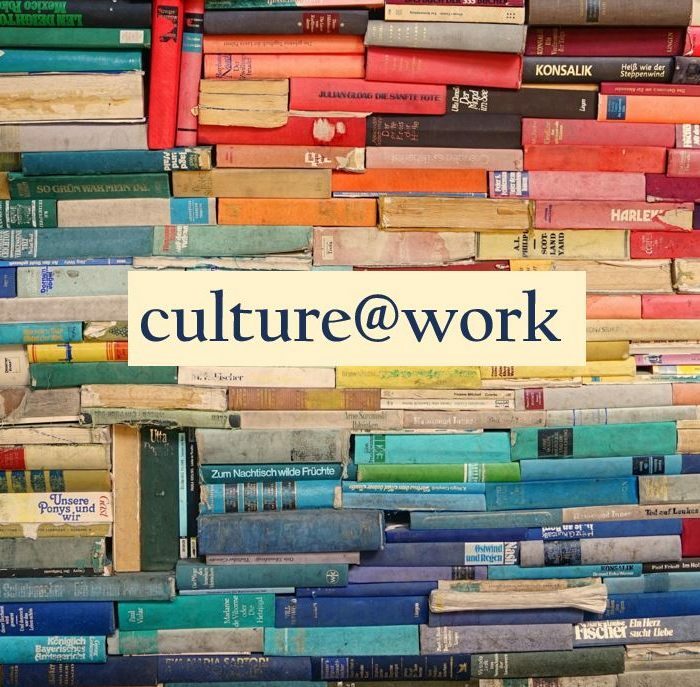 As a smaller library, we have a smaller staff, and so we aren’t able to be as specialized in our work tasks. You need to be a generalist, and able to jump in wherever you’re needed. One day I could be fixing a computer, helping someone with an OverDrive eBook question, and writing a grant proposal or board report. In many rural systems that I have worked in, there is one staff member working at a time (or in total!) in each branch or library. They open and close the library, take care of circulation and often programming and cataloguing too, and anything else that may come up during the shift. The interaction you have with the public and the line between management and the rest of the team definitely blurs! Although my “official” title is CEO/Chief Librarian, I help out at the circulation desk when needed, join in brain storming sessions with staff for programs and services, chat with patrons, deal with IT issues, help clean up messes and do pretty much everything in between. Patrons feel very comfortable coming right into my office, grabbing a seat and telling me what they are having issues with, or what they are currently very happy with. I would also venture to say that the lack of outside resources and services sets us apart. Being in a more rural location means that our library provides a host of other services and support for issues that would normally fall to other agencies. Since taking over at my current library three years ago, I have helped several people find emergency shelter, found others the contact for the local food bank (which has limited open hours) and helped many panicked seniors fill out their online census documents, to name a few extra-ordinary services we provide. Along with the lack of outside resources and services for a smaller library comes the lack of private funding. The small and medium-sized libraries I have worked for over the last 23 years rely heavily on government funding. The municipalities provide the bulk of our operating costs, with provincial grants helping out somewhat and community donations making up the rest. While our communities are extremely supportive, they can quickly become overtaxed by all of the organizations in the community looking for monetary donations. In my opinion, this is the toughest part of the job; being able to meet the demands and needs on a limited budget. 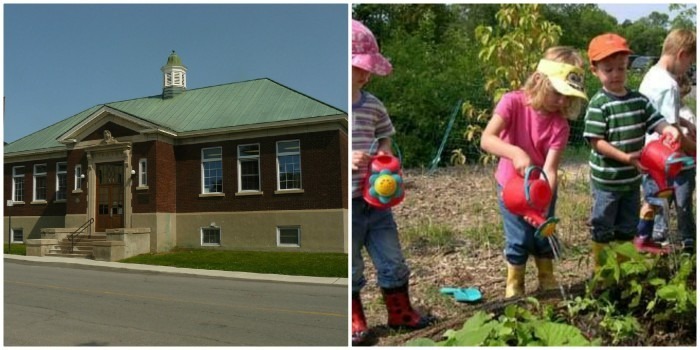 Renfrew’s beautiful Carnegie library (left) serves a community of approximately 8,000 and the literacy garden (right) is a wonderful part of the summer reading program. What are the key joys and concerns of working in a smaller or rural library? I love the opportunities I have to interact with both the public and the team. I personally believe that everyone has a story they want to tell. We all want to know that our thoughts and opinions matter. I try to always take the time to hear what people have to say. 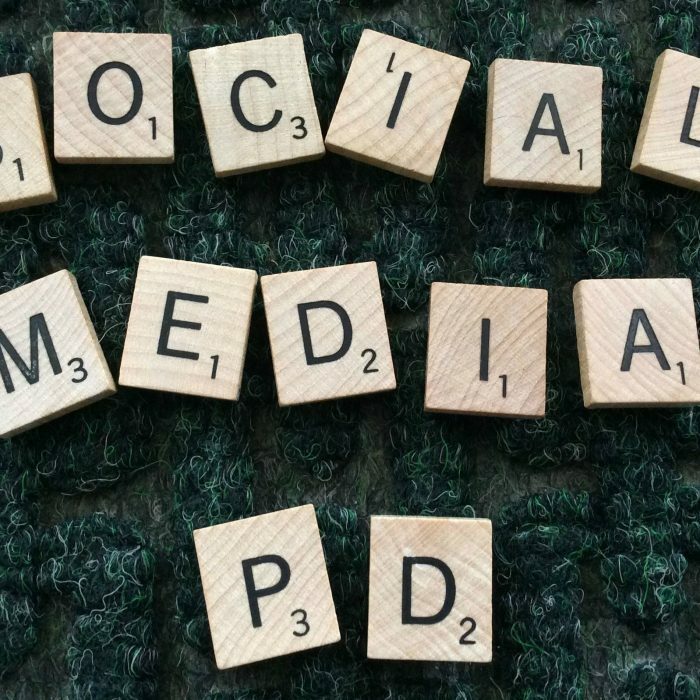 Sometimes it’s a complaint, sometimes it’s a compliment, but often it is a personal story; a struggle, health issue, birth or death in the family, political views … and often I don’t respond other than to acknowledge I am hearing them, or share a laugh. I enjoy being close to the center of the hub. That being said, having a door that tends to be open for all can often be difficult to close when needed! I have had to learn how to put boundaries in place over the years. Sometimes it is hard to maintain the balance between what our responsibilities to our community are and when we need to take a step back and distance ourselves from the situation. For example, our library supports a local addiction crisis center and both the staff members and I truly root for these individuals to succeed and get clean. It is truly heartbreaking when, after months of seeing them daily and getting to know them, we hear that one of them has relapsed and is no longer in the program. Now I’m not sure if this can be considered “joyous,” but we tend to know most of our patrons by name. We also know their children’s names, parents’ names and possibly aunts, uncles, cousins and friends! This can make it a challenge to maintain confidentiality at times, but it also means that because the library staff are very familiar with their reading likes and dislikes, etc., the level of service provided is high. As a smaller library, you know and recognize more people who come in the door every day. It allows you to be more directly connected to your regular patrons, know their names, and be able to provide personalized service. The main floor of the Perth & District Union Public Library as viewed when you first walk through the main library doors. The main floor offers circulation, fiction collections, teen area, computers and quiet study and reading space. Programming, non-fiction, and children’s spaces are located upstairs. Describe a typical day in a smaller or rural library? A typical day can vary widely! The Perth Union Library is located in the Town of Perth, Ontario. We have a population of 5,000 in town, and also serve another 13,000 in the surrounding two Townships of Drummond/North Elmsley and Tay Valley. We’re on the edge between a rural and urban library—we’re small enough that patrons still take off their boots at the door in the winter, but big enough that we have people waiting outside before we open every day, and we do have two people who work the circulation desk during all open hours. Regardless of what time we open, the first hour is always the busiest of the day. We have a large number of regular computer users, who have no or slow access to internet at home, so they come to the library to access our high-speed internet. Between 2 and 3 p.m., the middle and high school students roar in after school to use the computers, wifi and media lab. Most attend school in town, so are bused in in the morning and their parents pick them up after they’re done work around 5 p.m.
Having worked in three smaller libraries, I would say that no day is ever like the next. I arrive about an hour and a half prior to the public service staff and patrons. It gives me the time I need to deal with high priority items, or those things that actually do require some uninterrupted time. The average day is filled with interruptions. This is not necessarily a negative thing, but does make concentrating more difficult. As there is only a total of nine staff at the Renfrew Library, we are a pretty close-knit group. When staff first come in for the day, there is a ‘catching up” time and a discussion about the previous day’s happenings and what is on the agenda for today. Throw in a couple of personal anecdotes and the day begins! I enjoy this time because I am able to see where things are at on a somewhat regular basis rather than just at scheduled staff meetings. Once the patrons begin filtering in, all bets are off! Computers may randomly stop working, someone may need to discuss, well, pretty much any topic imaginable, and will pop into my office. In between these things I will work on our latest planning, administration, grants, and reports, all of the necessities required in this job regardless of the size of the facility. The library world is a very supportive one and when there are issues I need guidance on, my colleagues are merely an email away. I am blessed to have friends/colleagues in every size of library, so I am always connected to the trends and discussions in the larger systems (many of which are happening on a different level in the smaller libraries). I love my days because none are ever the same. There are still municipal politics to deal with and provincial requirements that need to be met. Some days are stressful. Some are frustrating. But most are challenging and rewarding. All libraries are important. I am trying to make a difference in my little corner of the world. Thoughts—anything else you feel we should touch on? Tell us about the rewards and challenges of this type of library work in our survey! 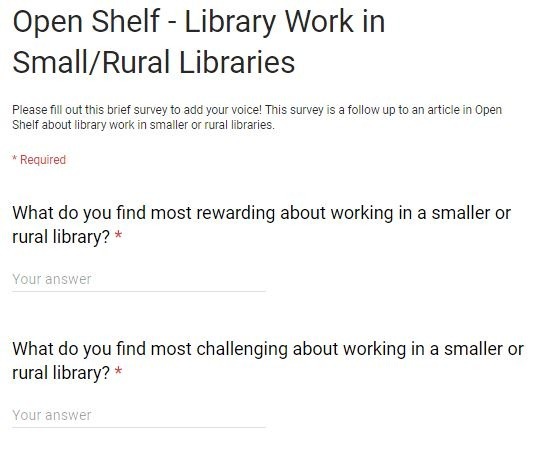 We’ll share the results in our next issue of Open Shelf. Kelly Thompson, CEO/Chief Librarian, works at the Renfrew Public Library. She spent many years as a child in the library she now manages. Erika Heesen, CEO/Chief Librarian, manages the Perth and District Union Public Library. She is a lifelong library patron, and remembers many hours browsing and volunteering at her local library growing up in Collingwood. 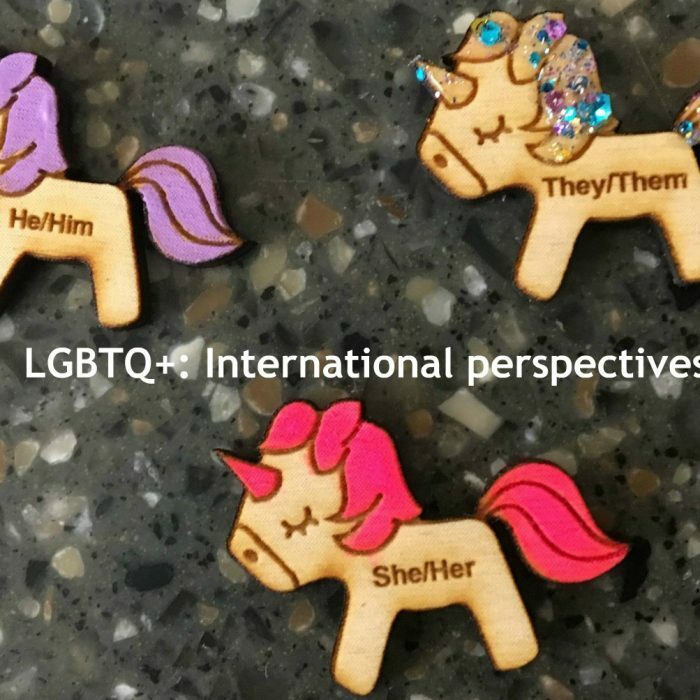 We look back on 2018, noting domestic and international issues that have impacted LGBTQ+ people.